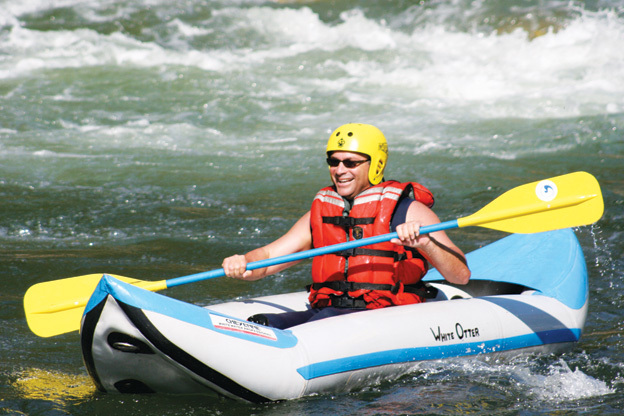 Enjoy rafting on the Sunbeam Stretch of the Upper Salmon and still have time to explore the spectacular Stanley Basin or get back to Sun Valley. 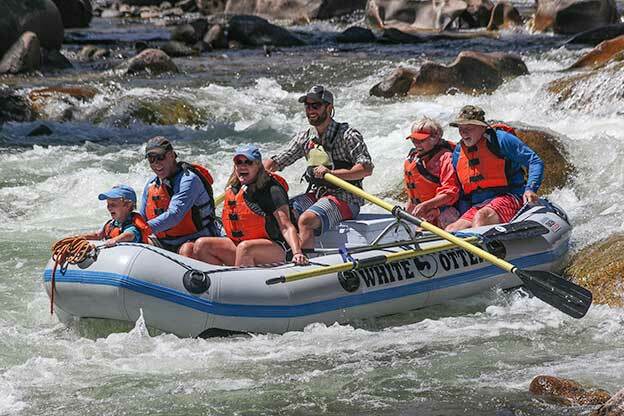 On the river you will enjoy class II and III rapids, time to soak in the scenery of the river canyon, and the pleasure of a professional, experienced, and knowledgeable guide. We always serve a fresh baked snack, so come see why “Starr Bars” are famous among river runners worldwide. Location, Location, Location... We are the only company located at the put-in. With White Otter you are not bused with a large group of people to and from Stanley and the river. Our guests meet their guide at our headquarters in Sunbeam, get outfitted for the day, and when they are ready, walk to the river where their rafts are in the water waiting. Half Day Trip – Our most popular trip! May through October, 9:30am and 2:00pm Daily. Half Day Trip – Custom Launch Time! 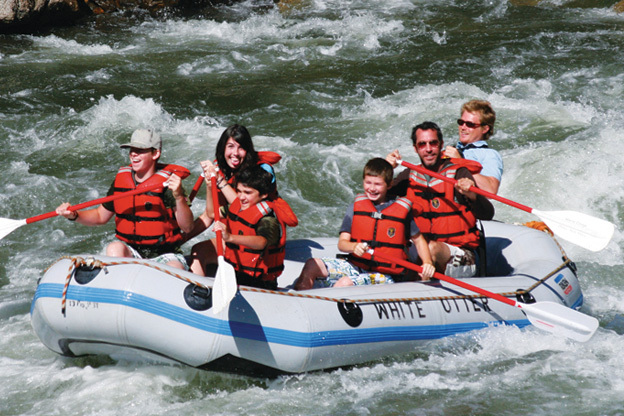 *Boat Choices (Paddle Rafts, Inflatable Kayaks, or Oar Rafts) made upon reservation.